How many of you know what Your GP has done professionally? Find out – and ask away! 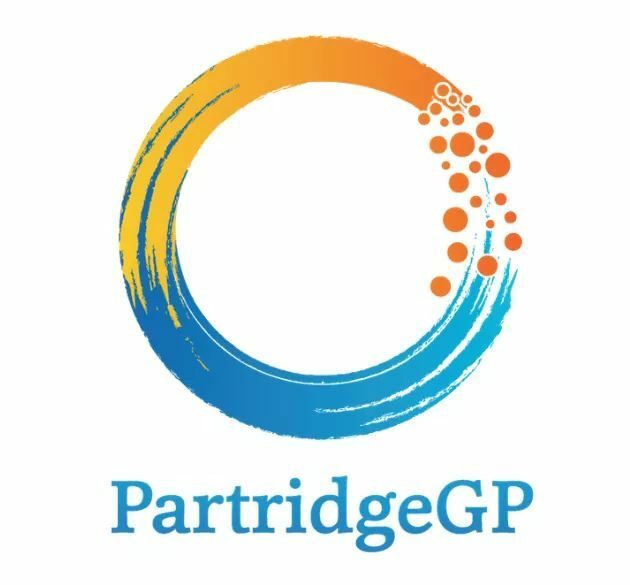 Remember, all of our GPs here at Partridge Street General Practice are Here to Help You! Well done, Councillor Amanda Wilson! 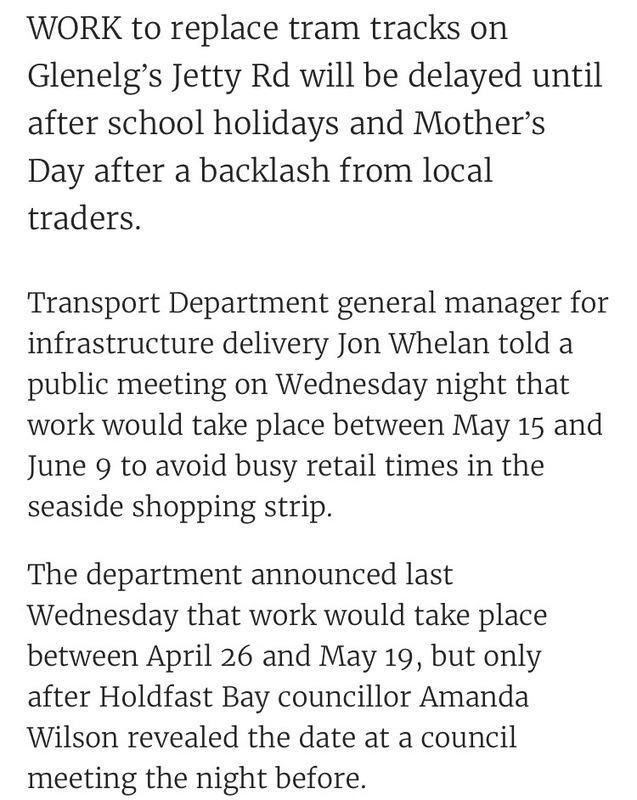 The State Government and DPTI have advised that Jetty Road, Glenelg, will be closed to traffic during the period 15th May to the 9th June. 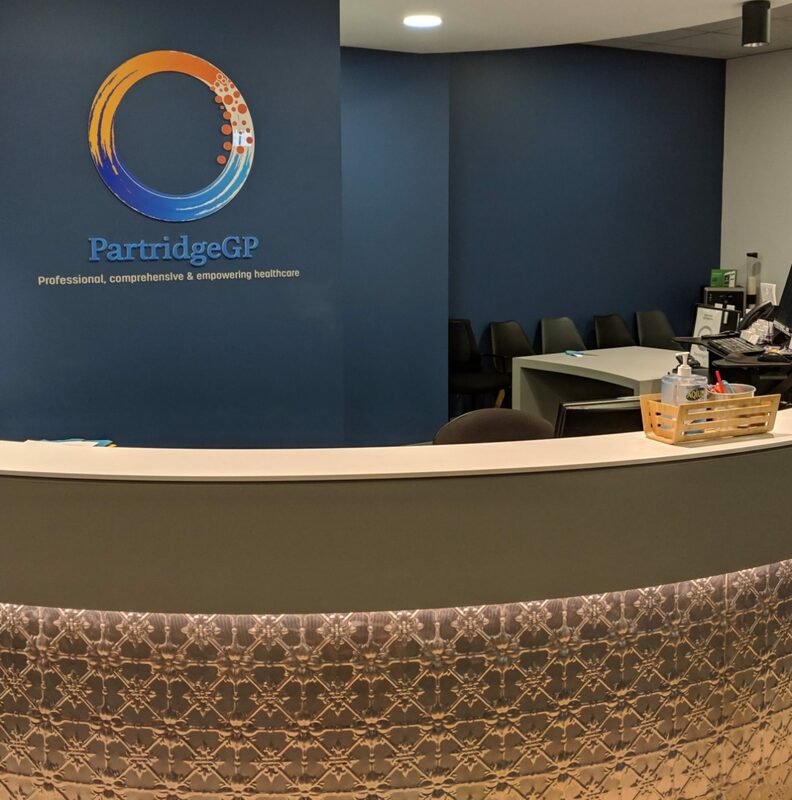 Partridge Street General Practice will be OPEN and it will be business as usual for us and our valued patients. Aspire Physiotherapy and Pilates, Sense Podiatry, Helen at Family Nutrition and Diabetes Services, and Dr Amber Keast will also be OPEN as usual. During May and June 2017, the Department of Planning, Transport and Infrastructure (DPTI) will be replacing tram tracks along Jetty Road, Glenelg. These works are necessary as the existing tram tracks and associated infrastructure have reached the end of their useful life. New rail and associated infrastructure will be installed to ensure the continued safe and reliable Glenelg tram services are provided for the 9.23 million passengers using this service each year. Cyclist safety will also be improved with an upgrade to Tram Stop 16 on Jetty Road, as part of the project. Project completion is expected at the end of June 2017. To minimise disruption to tram passengers, businesses, residents and visitors to the Jetty Road precinct, the works will be undertaken during the planned closure of Jetty Road from 15 May – 9 June 2017 inclusive. DPTI appreciates your patience and cooperation whilst these important works are undertaken. Tram services to Glenelg will terminate at Stop 15 Brighton Road, with normal services to resume from mid June 2017. Traffic detours will be in place throughout the closure with signage and traffic controllers advising motorists of the changed traffic conditions. Road users are requested to observe traffic signs and restrictions. Pedestrian access to businesses along Jetty Road will be maintained at all times during the closure period, with pedestrians able to cross Jetty Road at Brighton Road, Moseley Street and Moseley Square. An additional pedestrian crossing will be provided on the western side of the intersection of Jetty Road with Gordon and Partridge Streets. 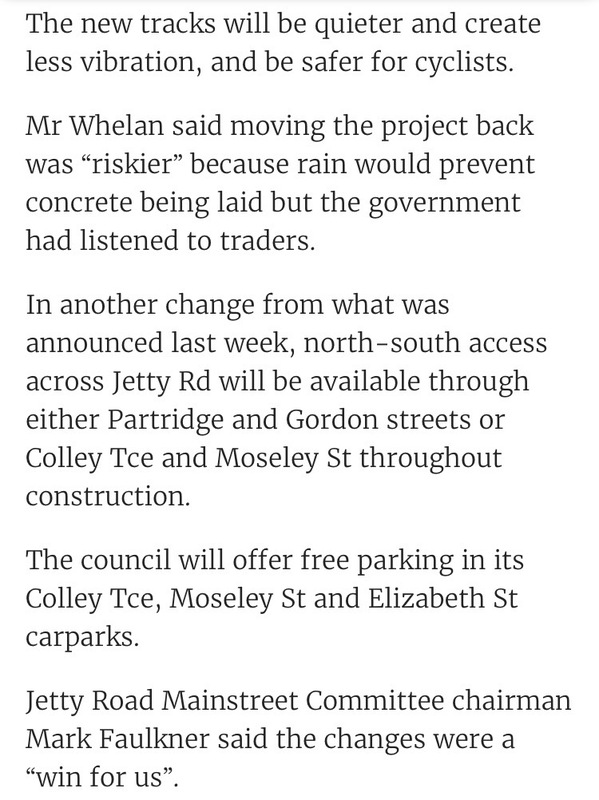 Car parking along Jetty Road will not be available during the construction period. Signage will be in place to direct motorists to alternative public parking sites. Disabled parking will be relocated 60 metres north of current locations and clearly identified with signage. Loading zones located in side streets and to the rear of businesses will remain in place during construction. However, loading zones on Jetty Road will be temporarily removed during construction and relocated to side streets in close proximity to Jetty Road. During the construction period, large trucks will access the site to deliver materials including steel rails and remove construction waste such as concrete. Heavy machinery will also need to be transported to and from the work site. Heavy vehicles will be restricted to main roads wherever possible including Anzac Highway, Colley Terrace, Jetty Road and Brighton Road. Occasionally, heavy vehicles will need to use local streets to access Jetty Road, however this will be mitigated where possible. Construction machinery associated with the works will be stored at the southern end of Byron Street, Waterloo Street, Nile Street and Sussex Street. Pedestrian access to Jetty Road will be maintained at these locations. A site compound will also be established on the Jetty Road end of Nile Street. Partridge Street General Practice will be OPEN according to our usual hours, for this whole period. The doctor will see you… never. Issues with online referral services. Why does a ‘well person’ need to see a medical subspecialist rather than a specialist in Primary Care – their GP? They don’t need a letter to ‘see a specialist’. Anyone can see a subspecialist doctor in Australia by paying their own money for it. A GP referral is only needed so that the patient may receive a Medicare rebate for the subsequent subspecialist consultation. A referral is a formal transfer or handover of care from one doctor to another. I don’t think the Qoctor AI measures up. It’s all artificial and no intelligence. There are many benefits of online health services and they can complement traditional face-to-face GP visits. But there are also examples that raise questions. The young woman was in tears. When she came in she had initially asked for a referral to a surgeon for a breast augmentation. During the conversation it turned out that her partner had made it clear that her breasts were too small. We ended up having a chat about relationships and body image. At the end of the consultation she decided she needed some time to think things over and talk to good friends, and that she would come back if she needed further assistance. At first sight, the Qoctor website seems an easy, convenient online medical service that provides sick certificates and referrals.